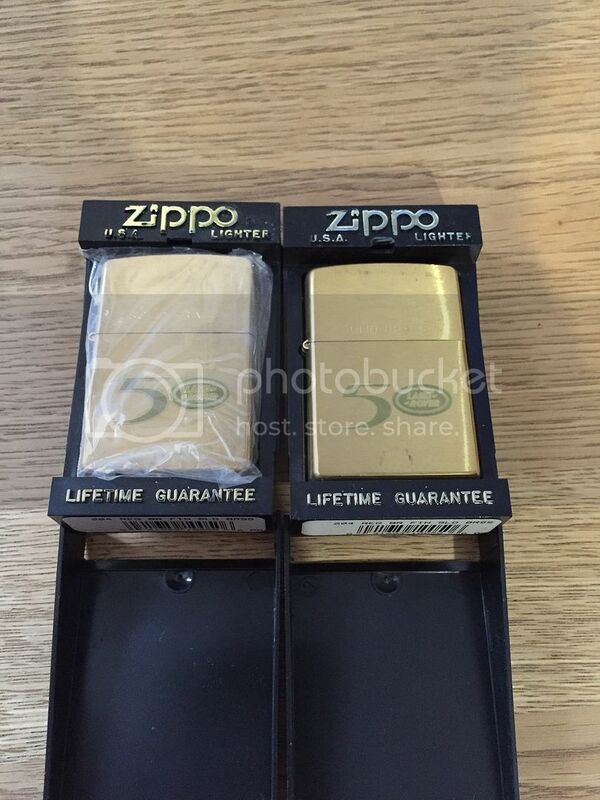 Is it a Zippo 'style' or a genuine one? If genuine Zippo, I'll give you £15. How much for the one on the left, then James? Bet it's not for sale! Your correct, I would struggle to part with anything 50th. I have done pics off my collection, will be posting them sometime soon so people can see the variety of 50th stuff. .....and yes James has two just so you know !!! Note to self... get photo of my 50th grille badge (s) ! !